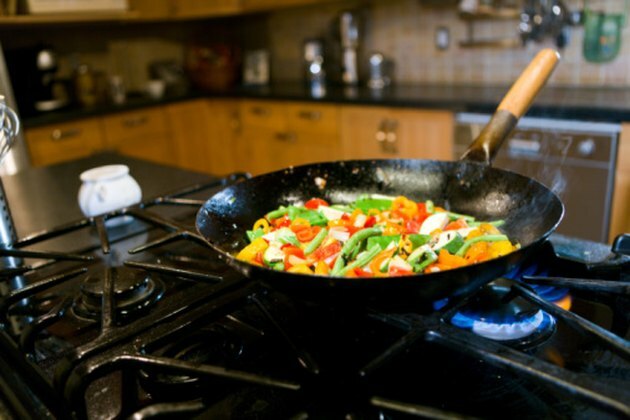 Gas stoves and cooktops are often preferred by serious chefs for the quick response they provide, according to Consumer Reports. 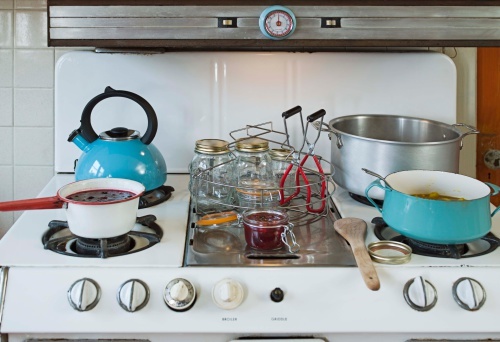 Many homeowners who are remodeling also prefer them: About two-thirds of designers surveyed by the National Kitchen & Bath Association specified gas cooktops for kitchen projects in late 2010. You may also find gas stoves, or ranges, in older apartments or homes. 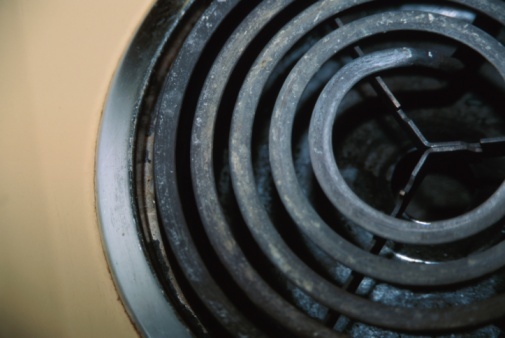 If you've never used a gas stove before, you should know a few basics. 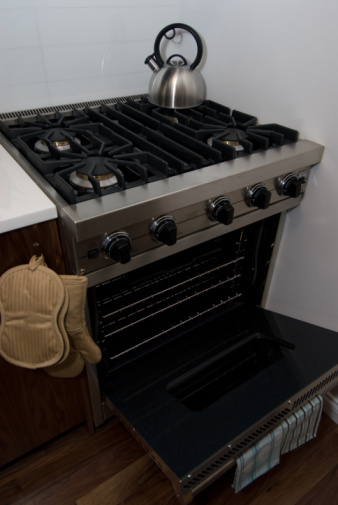 Gas ranges are preferred for their responsiveness. Place your pan or skillet on the burner you want to use. Push the burner's control knob in and turn it to the "light" position. The flame should ignite -- if it doesn't, turn the gas off by turning the knob all the way to the left, then try again. Stop and turn off the knob if the flame doesn't light, to prevent gas from accumulating in your home. Turn the knob immediately to the left once the flame is lit (but not all the way, which will turn it off). Adjust the knob to your desired heat setting or flame height. The larger the flame, the hotter it is and the faster your food will cook. Visually check the flame as you adjust the knob. Keep the heat low the first time you use a gas stove and cook with butter or a cooking spray to avoid burning your food. Gas ranges cook very quickly, so it's easy to burn your food until you get used to the way the burners work. Turn off the flame immediately when you're done cooking, by turning the control knob all the way to the left. Make sure it is as far to the left as possible to avoid gas leakage.